We don’t talk too much about Amazon selling on this site, but it’s definitely a topic worth covering. We’ve covered how to view the sales for individual products, and we’ve talked about improving product rankings, and a handful of other topics that revolve around selling more on Amazon. There’s just one problem: the more you sell, the more you lose to those pesky Amazon fees! The most convenient way to sell products via Amazon is with the Fulfillment By Amazon program, or FBA, but they have a bunch of fees associated with the program that you may want to minimize. 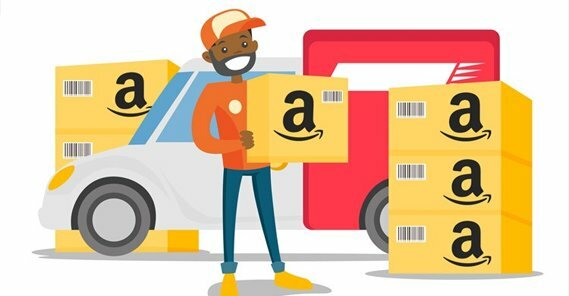 Fulfillment by Amazon is a program any seller can opt into if they want to add a lot of convenience to selling through Amazon. 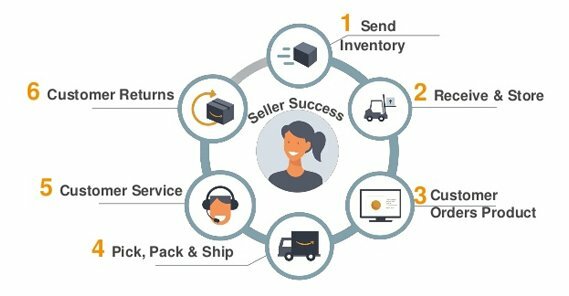 Essentially, you ship off all your products pre-packaged and ready to go to Amazon, and when someone buys one of those products, they handle shipping from there. It’s sort of like a cross between running your own storefront and dropshipping. You still have to handle inventory supply, but you don’t have to handle the mechanics of addressing and shipping individual products. Set up FBA on your account. Create your product listings for the products you plan to sell. 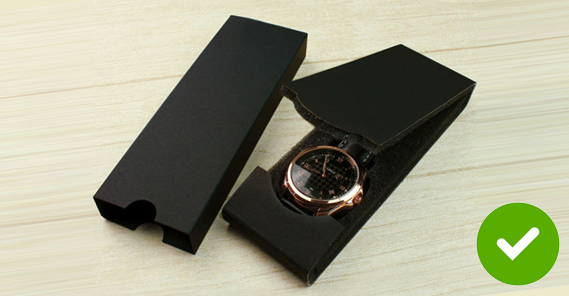 Prepare your products to be shipped quickly and easily. Ship your products to Amazon to be held in their warehouses until such time as they are purchased. Rake in the profits when users buy your products, without needing to worry about shipping. FBA has a handful of great benefits. The biggest and best of those benefits is the fact that Amazon handles shipping to customers. As long as the products are in stock in their warehouses, your customers can receive them in a matter of days, rather than the weeks it might take if you ship normally. Other benefits include Amazon handling your customer service for returns and refunds, the space you save by sending inventory to Amazon instead of keeping it in a spare room, and a consistent means of shipping, tracking, and managing inventory. The primary drawback, of course, are the fees. Amazon FBA is much like their affiliate program and many other programs they offer: it’s flexible, which means it changes based on a bunch of different factors. You can view their full fee structure here. Basically, they have two fees you have to pay. The first is a fulfillment fee, which is a per-unit fee and covers Amazon’s picking and packing of your products from their inventory, their shipping and handling, and their customer service and return handling. For standard size products that are under 1 pound, it’s $2.41 per unit. Larger units scale up, as do oversize units. They also charge an additional 40 cents per unit for clothing. The worst case scenario for a fee would be a special large oversize clothing unit, which could have a fee as high as $150 or more. The second fee you have to pay is for inventory space. This fee depends on the cubic feet of space required to store your inventory and is not a per-unit price. It also varies depending on the time of year, with one fee for January through September, and another, higher fee for October through December. 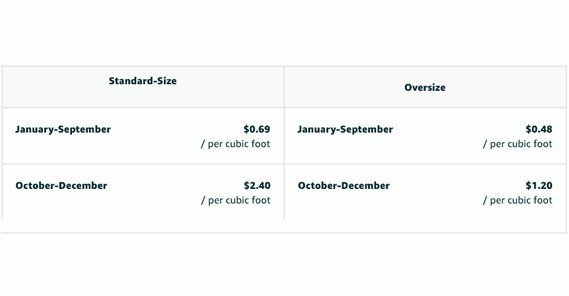 Standard sized products at the low time of year are 69 cents per cubic foot per month, while the highest possible fees end up being $2.40 per cubit foot per month. The fee structure page I linked above will show you a few estimated products and their associated costs, as well as providing you with a calculator if you’re interested in estimating what your costs could be. FBA has a few additional fulfillment options that can have different fees associated with them. They have a specific option for multi-channel fulfillment, one for specifically small and lightweight inventory items, and a subscription service that offers discounts for eligible customers. All in all, it’s very complicated, and it’s easy to see how you can eat up some or all of your profits on some items if they’re not packaged properly, if they’re too heavy, or if they take up too much space. What I’ve done, then, is come up with as many tips as possible to help you reduce the FBA fees that Amazon will charge you. Some might only carve off a few cents, while others could be much more significant. Use as many as you can! As you can see from the fee structure, one of the primary costs associated with FBA is storage, based on the amount of space an item takes up. This works exactly counter to how the US Post Office operates, with standard-sized packages being usually the cheapest shipping options. One mistake I see newbies make quite often is using standard sized boxes for everything. If you use a large box for a small item, there’s a lot of wasted space inside the box, but Amazon is charging you for all of that space. 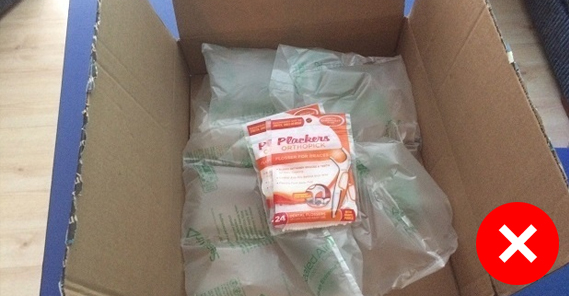 It will generally be well worth your time to find precisely-sized packaging for every product you want to ship and store in Amazon’s warehouses. Now, it’s not worth your time to optimize this by millimeters. 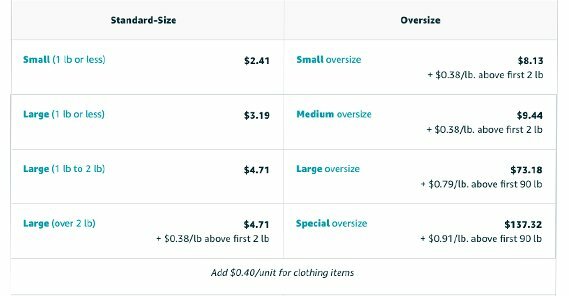 Amazon uses size tiers to determine storage costs, since it mostly determines what size racks they need to put the packages on in their warehouses. If you’ve ever seen the inside of an Amazon warehouse, you know that they’re often insanely dense and picked through by robots as much as by humans. You can use the fee calculator again, or browse the tables on this page, to help you figure out the appropriately sized boxes for your products. One item of note that Amazon calls out on their packaging and fulfillment page is that they use very precise scanners to measure any package they’re storing in their warehouses. This measurement scans each dimension of the package and feeds the data into their algorithms to figure out the most efficient way to store it. 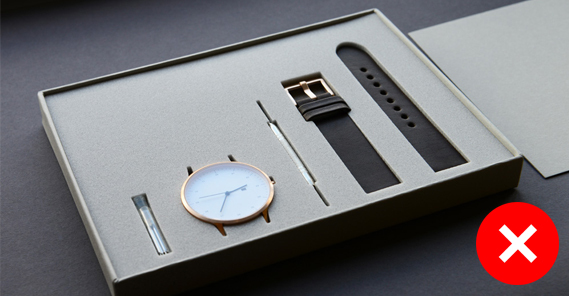 This includes all three spatial dimensions as well as weight of the package. Amazon’s scanners don’t differentiate between something substantial and something insubstantial. The example they use is a piece of your packaging tape curling up. A ribbon or bow around the top of a package, like a traditional Christmas present, would be another example. Something insubstantial sticking out of the package, you know? When the scanners scan the package, they will record the additional length of that insubstantial bit of tape as additional height/width/length. This, even though it can be fixed by pressing the tape down or trimming it, can bump your product into another larger size tier. This can dramatically increase your fees! It’s may sound a bit silly, but just make sure that you’re being precise with the boxes and tape you’re using to ship your products. Try to avoid anything sticking out, no matter how insubstantial, because if it blocks a laser, it counts. When you’re selling numerous copies of the same product on Amazon, they don’t precisely measure and scan every single item. They take a representative sample of your packages and scan those, and use the average to calculate the storage space for your products. This means inconsistent packaging could reduce your fees, or it could drive up your fees, depending on which ones Amazon chooses to sample. I would generally assume that inconsistency is going to raise your fees, so make sure you’re packaging everything as consistently as possible. 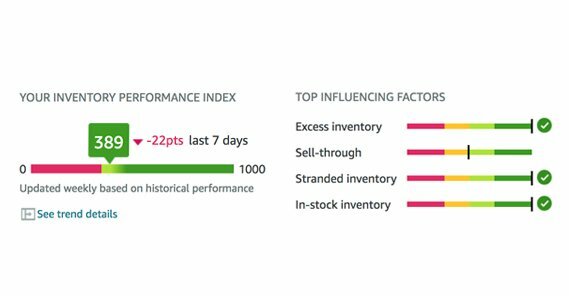 Your IPI is your Inventory Performance Index. It’s a measurement of several metrics Amazon records about your inventory, and they grade you based on it. Each metric can give you a hint on how to reduce your fees by optimizing your inventory. Excess Inventory Percentage. This is the percent of your inventory that is considered in excess of what is necessary. Liquidating excess inventory through sales or deals can help you reduce storage costs, rather than letting those items collect dust in the fast-paced warehouse. Sell-Through Rate. This is similar, and is a metric measuring how accurately you keep your inventory close to how much you sell. Too little inventory is bad, too much inventory is bad. Keep to the sweet spot in the middle. Stranded Inventory. This is items in your inventory that no longer have product pages, or a number of other errors that might trigger this error as a catch-all. Avoid these whenever possible. This post in the FBA Forums is a pretty great overview of the IPI metric and how it works and influences your fees. Primarily, a low IPI might mean Amazon will restrict your storage space or bump up fees to account for it. Unfortunately, as a small or new seller, you might not have the data necessary to really optimize this. You’re likely going to end up having some products go out of stock or others under-sell from month to month. The sad reality is, Amazon is going to charge you fees for not having the foresight or the data to extrapolate from to keep right in that sweet spot. Luckily, the sweet spot is relatively large, all things considered, so you won’t eat TOO many extra fees if you stray outside of it. Still, it’s worthwhile to try to predict as accurately as possible what you need to have on hand from month to month. By inappropriate, in this case, I mean products that don’t really benefit from Amazon managing the storage for you. 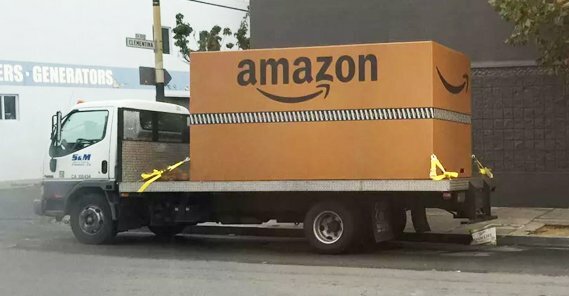 Big and heavy items that benefit from Amazon’s fulfillment are great candidates, though they’re expensive, especially if you don’t sell them quickly. Small, cheap items, on the other hand, often incur almost as much in fees as they give you in profit. You’ll break even or even lose out in the fees, particularly if it’s a slow-selling item, like an older replacement piece of tech. Make heavy use of the calculator, and assume the calculator is under-estimating fees, as it usually does. Anything that ends up in the Oversize category might not be worth storing, and anything that’s unusually heavy likewise might be difficult to store appropriately. Now, this is a great option in certain circumstances. It doesn’t work if your products aren’t likely to be bought together, for example. Don’t, say, package a light bulb and a pair of tongs. They aren’t related, and finding people who need both is going to be rare compared to finding people who just want one or the other. You may need to dig into your product metrics to monitor what products are frequently bought together, and offer those as combo packs. Do you have any tips you’ve tried and tested for reducing your FBA fees? I’d love to hear them. Just don’t tell me to fill my packages with helium; it doesn’t really work.